Former UCLA tennis ace Justin Gimelstob first picked up a racquet at the age of eight, and soon began displaying his talents. By age 14, he topped his USTA age group. Two years later, he was ranked No. 1 in the USTA Boys 16 age group. In 1995, he won the National Boys 18 Championship, and enrolled at UCLA, completing his first semester with a 4.0 GPA. In September, 1995, with a ranking of #1,154, Justin pulled off one of the biggest upsets in North American tennis history by defeating No. 65, David Prinosil, in the first round of the U.S. Open, Justin's first-ever Grand Slam event. Wrote Sports Illustrated: "Eighteen-year old UCLA frosh, with 4.0 GPA, aces U.S. Open debut. Could he be tennis' Tiger Woods?" 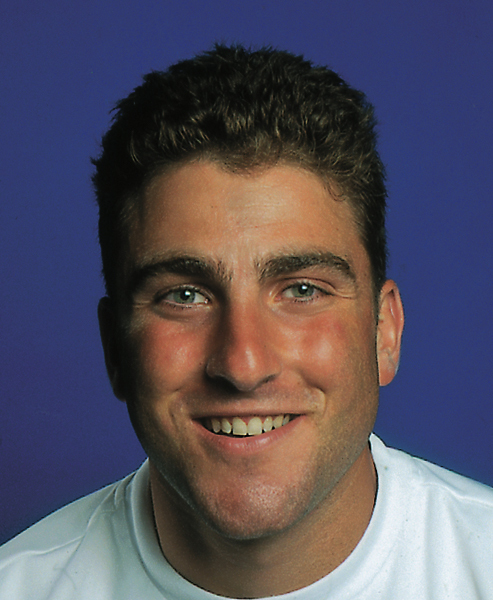 In 1996, his second (and final) year at UCLA, Justin won the NCAA Doubles Championship and helped lead the Bruins to a runner-up finish in the team competition. He turned pro later that year and began to move up steadily in world rankings. In 1997, Justin reached the third round at the U.S. Open and briefly entered the World's Top 100. That year, he defeated Andre Agassi at the ATP event played on the UCLA campus. As he continued to improve into the following season, the USTA named him to the Davis Cup team. In 1998, Justin and partner Venus Williams won the Australian Open and French Open Mixed Doubles crowns. By February 2002, Justin had racked up 15 ATP Doubles titles. To date, he has been ranked as high as #63 in Singles and #18 in Doubles.